You turn your car off and check your phone, two missed calls and three missed texts. The National Transportation Safety Board has recommended that drivers should not be able to access their phones while driving. Penn Manor students feel differently. “It’s easy and safe unless you’re dumb,” stated senior Nick Zell. “I rarely use my phone when I drive because I drive stick, my one hand that I could be using to talk on the phone is already busy so I don’t use my phone much when I drive anyway,” said senior Alex Sorce. 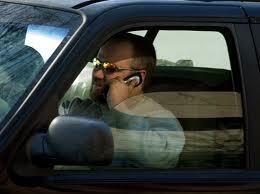 “I don’t text while I drive but I will answer the phone if someone calls,” said Ryland Overly. Many states already have bans on hand-held phone use when driving and have been compared to nearby states without that law. The results have shown that there is no change to the accident rate, according to the Insurance Institute. Deborah Hersman, chairwomen of the National Transportation Safety Boards, was concerned with the new phone technology allowing people to access their email, watch movies and play games on their phone. She acknowledges that it’s going to be hard to try and change how people drive by simply telling them to put their phone away for, in most cases, short distant drives which severely increase their unawareness while behind the wheel. “We’re not here to win a popularity contest. We’re here to do the right thing. This is a difficult recommendation, but it’s the right recommendation and it’s time,” she said. People know that using their phone while they drive is dangerous, but they seem so addicted to update a social network or extremely tempted to see what their friend said back to a text. If people know it’s dangerous to distract them self on purpose, then why do they do it without thinking twice about it? “I don’t know why I do, when I drive and notice I have a message, it’s just instinct to check my phone without checking my surroundings,” said Bobby Warfel. “It can really distract me sometimes if I’m waiting for a certain text or something,” said Ashley Richards. According to the Governors Highway Safety Association, nine states currently have the ban of hand held phones when driving and 35 states ban texting when driving. If the ban becomes true for all states, that could affect car manufacturers in the way they set up newer cars to have Bluetooth already installed. Bluetooth lets the driver answer their phone while driving by the press of a button, sometimes the button is on the steering wheel, making the driver still able to talk and drive and hoping that it doesn’t take away from their awareness of the road. The ban is also receiving some attention world wide. Ban Ki-moon, secretary general on the United Nations suggested to end multitasking behind the wheel. 30 countries have a few limitations when the drive and Germany and Portugal have complete bans when they are driving. 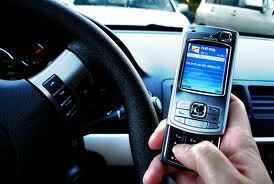 Just so you know, texting while driving is going be illegal in PA starting March 2012. Gov. Corbett signed the bill back in November.